Our Mexico City tours will take you to discover the largest urban concentration around the country, also considered one of the biggest and most populated cities in the world. Thanks to its geographical position it is an important business center, connecting the north to the center and south of America, as well as the heart of distribution of entire Mexico Republic. Day trip to historic Puebla, where the imperial French army suffered one of its most bitter defeats in 1863. You will wonder at the exuberant magnificence of the Rosary Chapel, visit the enormous and austere Cathedral and the hidden Monastery of Santa Mónica. The city is also famous for its Spanish-style “talavera” tiles, which are integrated in the town`s architecture, giving it most peculiar appearance. 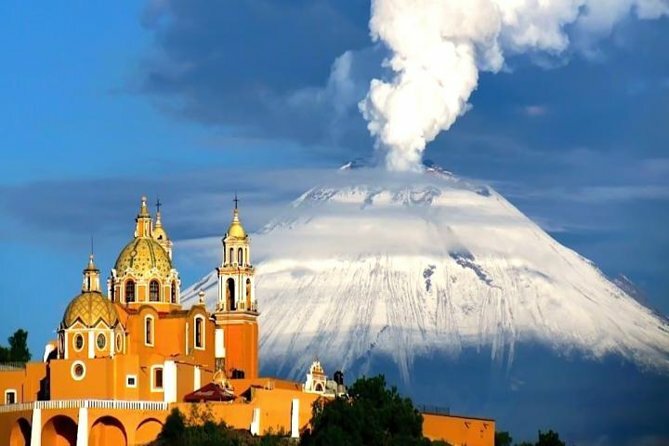 You will visit also Cholula, known as the town of 365 churches, and for its tunneled Pyramid of Tepanapa, the country´s largest, on top of which the conquerors built the church of our Lady of Remedios.